While the 1927 New York Yankees get all the credit, the 1936 Yankees could easily give them a run for their money. Winning 102 games (in a shorter 154 game season) and taking the World Series, it is no wonder the tag line on the back of this image refers to THIS Yankees team as "Murderers Row". 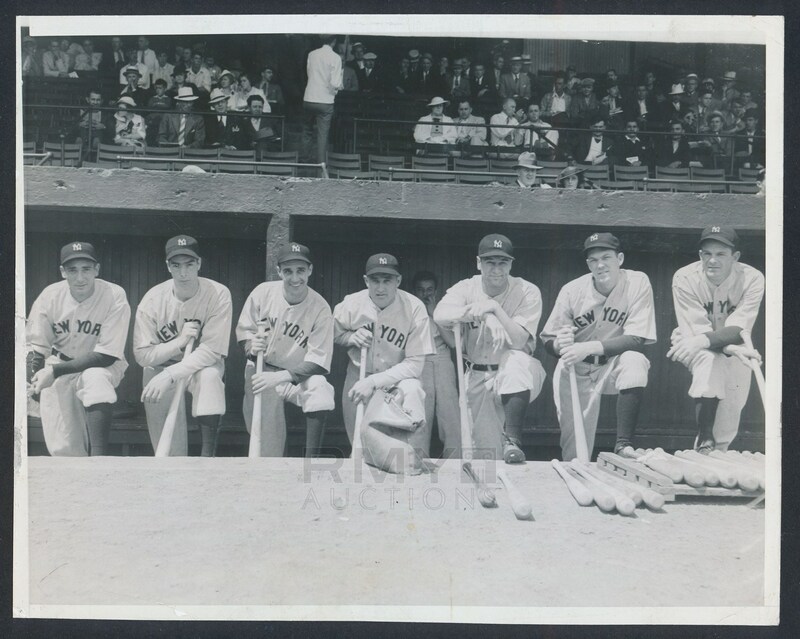 Led by Lou Gehrig and a Rookie Joe DiMaggio, this photo also boasts Hall of Famers Tony Lazzeri, Bill Dickey, as well as stars Frank Crosetti and George Selkirk as well. Not too shabby! The offered image is a breathtaking view of the Yankees superstars posed on the edge of the dugout steps with each holding their bat in hand. Crystal clear and bold, the photo is in nice shape overall with a area of wear on the left extreme border. 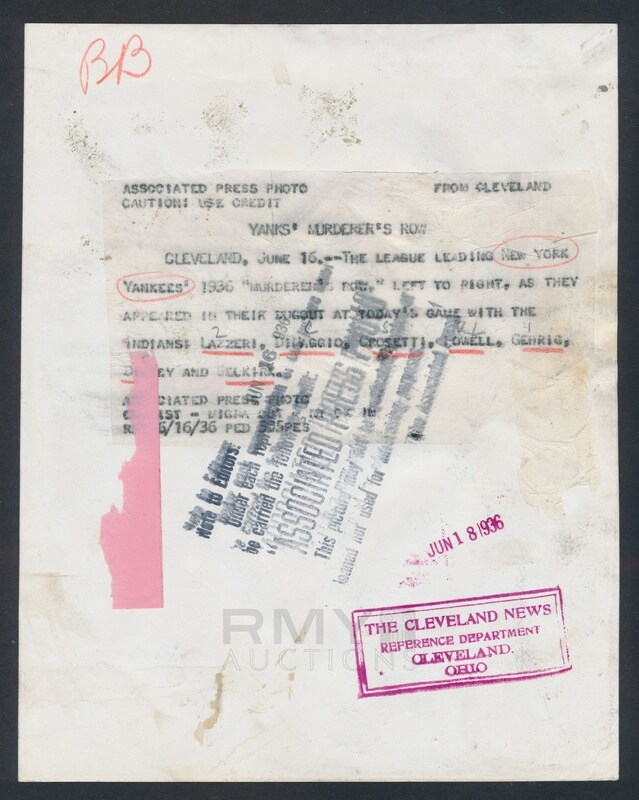 Issued by Associated Press and with a full paper caption on the back.